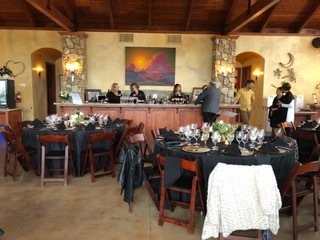 2ND ANNUAL WINEMAKER’S DINNER A HUGE SUCCESS! 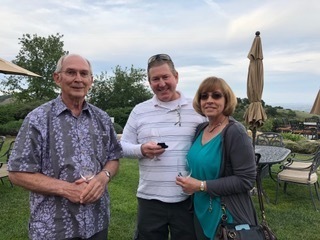 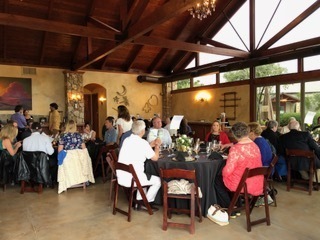 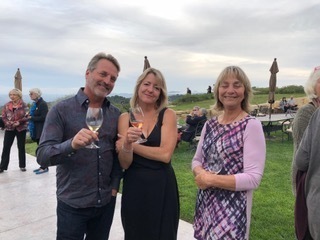 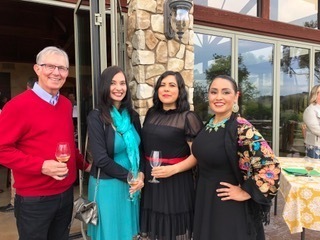 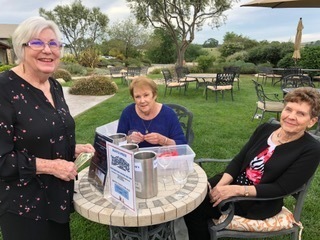 Seventy-eight guests enjoyed a perfect evening at the beautiful hilltop location of Calcareous Vineyard & Winery. 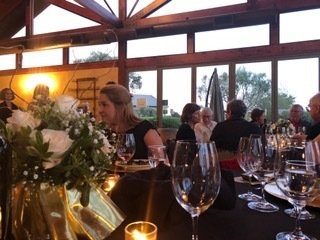 John Teeling prepared a wonderful 4-course dinner paired with various wines produced by Jason Joyce, Calcareous Winemaker. 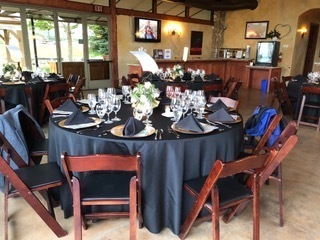 A huge thank you is owed to the Calcareous staff for donating their time to do all of the set up and serving for the evening. 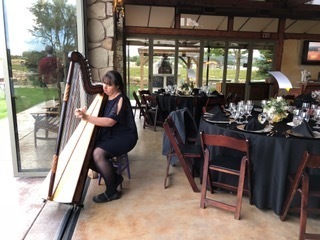 Music was provided by Harpist, Aurora Denny. 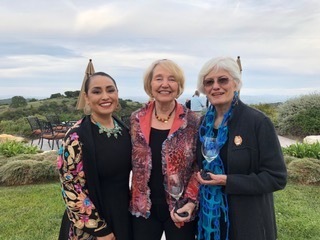 Friends President, Anne Bell and Foundation President, Pamela Alch, together with City Librarian Angelica Fortin, welcomed everyone and extended sincere thanks for the wonderful turnout and support for the library. 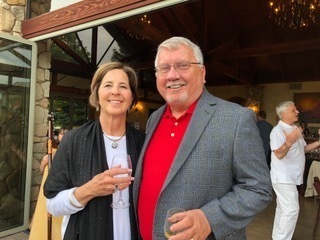 Also in attendance was City Councilman Steve Gregory – thank you so much for your continued support ! 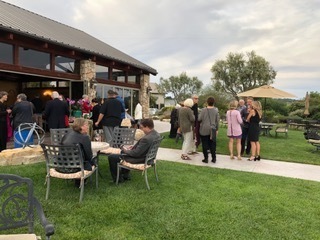 The evening closed off with raffle prize drawings for a 2-night beach house stay, summer passes to Kennedy Club Fitness and dinner for two at F. McLintock’s. 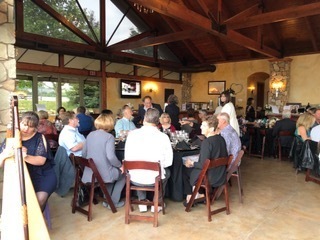 Thank you to each of these donors for supporting this event. 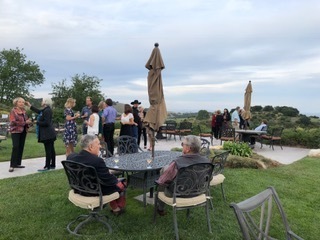 Additional sincere thanks go to Paso Robles Waste & Recycle and The Hotel Cheval for underwriting a portion of the event costs. 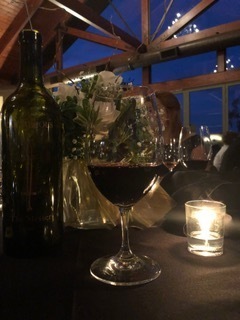 We are truly grateful for your generosity.